The earliest Japanese figurines were pottery figurines dating from the medieval period. However, most antique figurines date from the Edo (1603-1868) and Meiji (1868-1912) periods, and are made of wood, ivory, bronze or porcelain. Netsuke were small wood or ivory figurines, worn on cords from a person's obi (sash). Okimono figurines, made of wood, ivory or bronze, were displayed in an alcove (tokonoma) in the family house; they were produced mainly during the 19th century. Porcelain figurines have been made since the 17th century, and often depict geisha, or gods and goddesses. 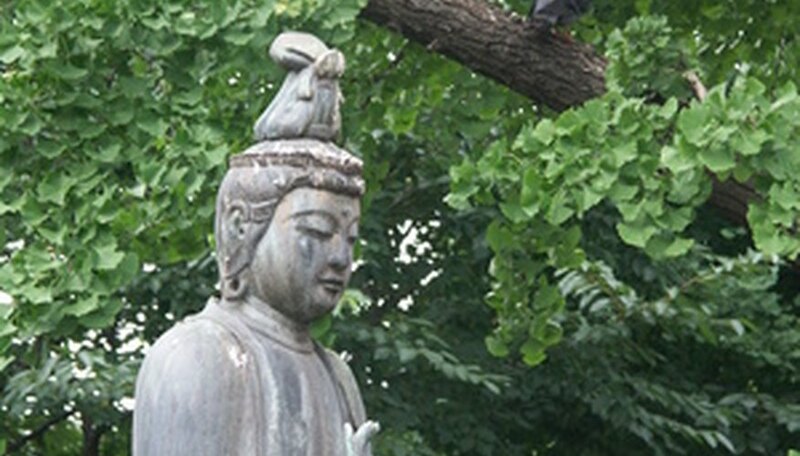 Examine the figurine to see what it represents: for example, a samurai, a farmer, a geisha, or an animal. Note the material that it is made of. Measure the height of the piece. A very small wood or ivory piece might be a netsuke; if it is, it will have two holes through which a sash cord could be passed. A larger ivory, wood or bronze piece is likely to be an okimono. Examine the figurine for markings. Older porcelain and ivory figurines (before 1891) will be marked with the Japanese characters of the maker's name. 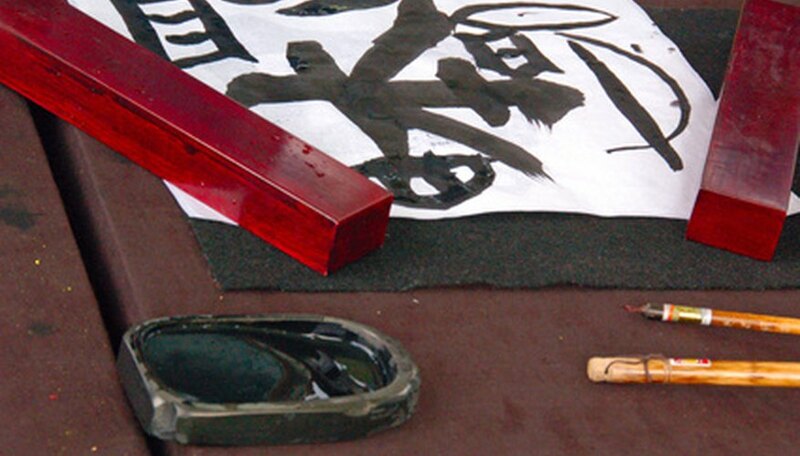 From 1891 to 1921 the mark "Nippon" was used for export pieces. The mark "Japan" denotes a piece dating from 1921 to 1941. After 1941, pieces were marked "Made In Japan." Carefully check the figurine for other clues to its origins. For example, porcelain Imari ware figurines have a characteristically blue underglaze. 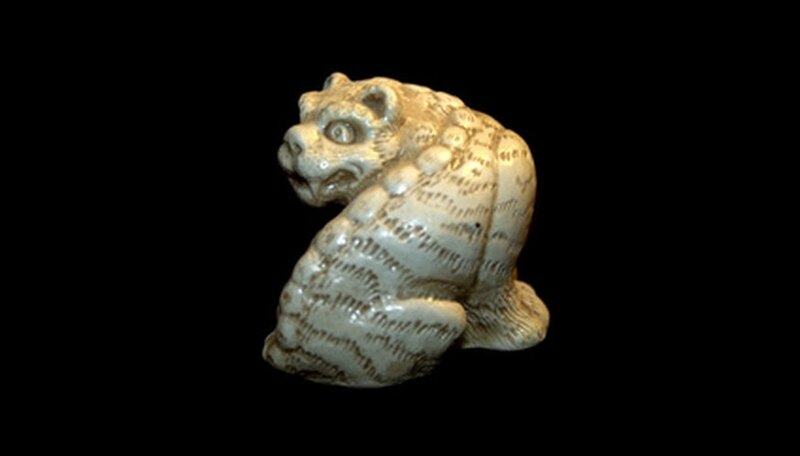 Netsuke were quite small (only an inch or two high), and often depicted animals. Ivory okimono, larger than netsuke, were known for their exquisite detailing. 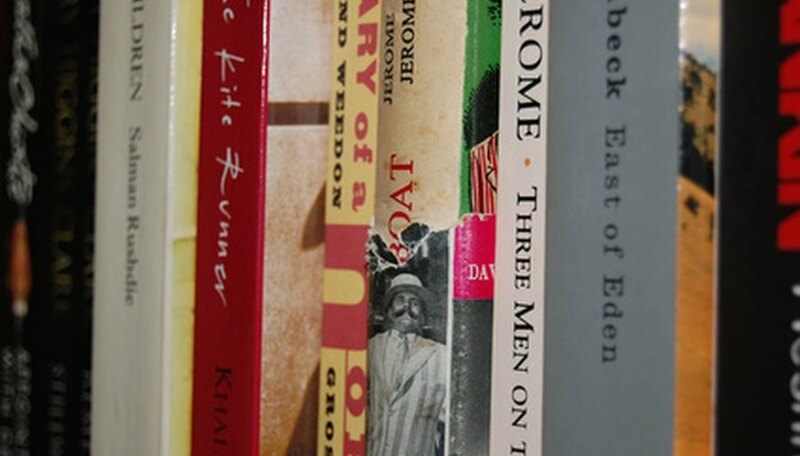 Consult museum websites with relevant collections. Look at price guides and online sites, as well as books about Japanese antiques, to help you identify the figurine. Make a note of similar pieces' history and provenance. Consider hiring a professional appraiser if you are still uncertain about identifying the figurine. An expert in Japanese antiques will be able to help identify and and assess the piece. 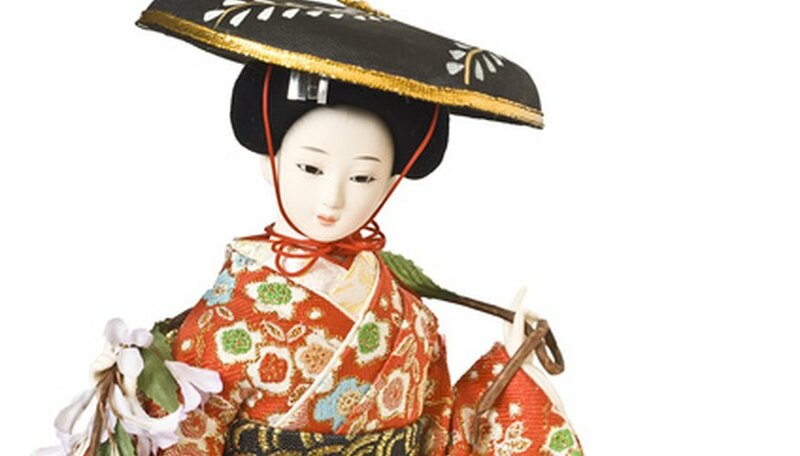 Visit museum exhibits and antique galleries in order to see antique Japanese figurines up close. Many okimono and porcelain figurines with Westernized subjects will date from the later 19th century, and were made for the export market. 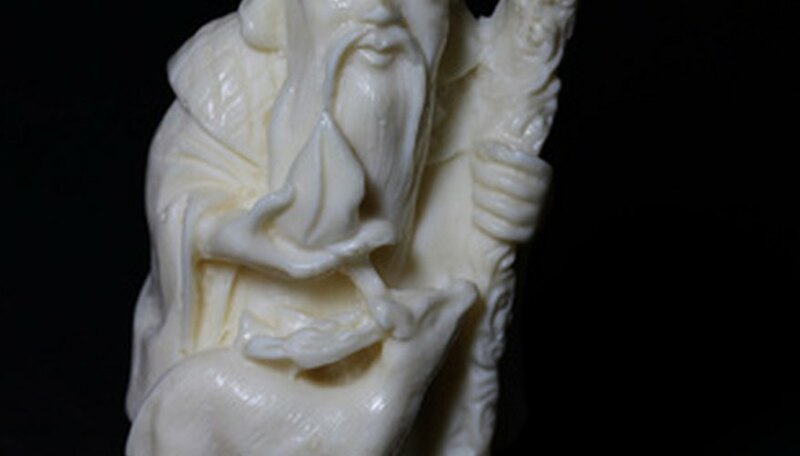 Beware of fake resin models of old ivory figurines, which look very similar to the real thing. A resin fake will not be cool to the touch, as ivory is.